The Geo Phyzz bath bomb was my number one, desperately in search of bath bomb for as long as I can remember. After waiting for what seemed like an eternity, it showed up in the Lush Kitchen. 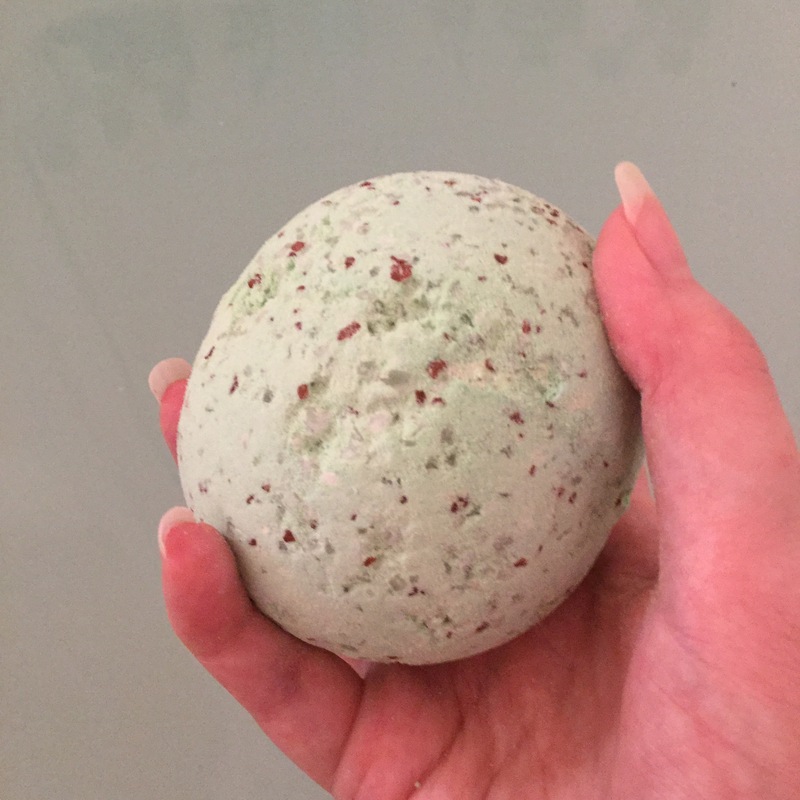 Although the Geo Phyzz bath bomb does not put on a colourful bath-time-show in quite the same way as various other bath bombs do, I still favour it because of its incredible ingredients. Looking very similar to a scoop of mint, chocolate chip ice cream it’s hard to resist. I searched high and low for Geo Phyzz as I had heard from a reliable source that it is meant to be the holy grail bath bomb for aching muscles. Now I have actually used Geo Phyzz, I can write this review and wholeheartedly confirm that it really is VERY, VERY, good at soothing fatigued and achy muscles. Geo Phyzz has a very earthy, moss-like and pine wood forest scent. Back when I first got into Lush it took me quite a while to appreciate products with a scent like this. I used to always go for the citrus based products leaving anything a little mossy or different in the shadows. Since my sense of smell has however somewhat matured, I now find myself craving the earthy products just as much as I ever have the alternatives. Geo Phyzz has a long list of soothing and natural ingredients. Course sea and red Hawaiian salts help to cleanse, relax and soften your tired body. As for the oak-moss, pine, sandalwood and cypress oils, they give off a woody aroma grounding you to the here and now. Geo Phyzz is the perfect bath time buddy if you’re in need of recharging your batteries. Its refreshing and gentle scent leaves you calm and content, lulling your mind into a complete state of relaxation. I always try and grab as many Geo Phyzz’s as I can when they come into the Lush Kitchen, for people like me that suffer with chronic, widespread pain there is no other bath bomb quite like it. Bathing myself in it literally makes my aches, pains and worries feel like a distant memory. The closest alternative product to Geo Phyzz that is readily available is probably the Big Blue Bath Bomb, although it is no where near as magical on the muscles. As I said above, Geo Phyzz isn’t as pretty to watch fizz away as other bath bombs but sometimes it’s what is inside that counts the most. A Geo Phyzz bath is a truly pleasant bathing experience, my muscles are never happier than when I’m sharing a bath with the Geo Phyzz bath bomb! Thank you so much Georgina! Oh you poor thing, chronic pain from long term illnesses like that is no fun at all, defo buy some Geo’s, they’ll really help! 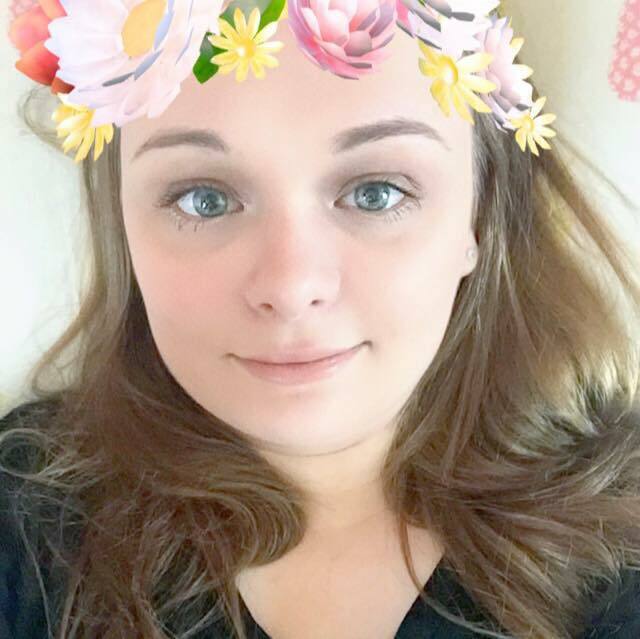 I have EDS so have trouble with all my joints, my back and ribs are effected quite badly too so I can really appreciate what you face every day. I actually made a conscious decision to not shop at lush (except after Christmas sale) because I am still mad they discontinued this. So glad for Lush Kitchen but it’s usually rare I believe. This melts my stress away.